And yes; the title is true i’ve been a bad blogger and sadly also very lazy with my bucket list. 2013 was such a busy year with both myself and now husband starting a new job, getting married and then training for a new job at work. We also spent much time in 2013 looking for a new rental property that was a bit more spacious and modern and planning our honeymoon. So it stood to reason that i wouldn’t be as dedicated to outside project. I was lapse in posting on this blog; partially because i was extremely busy but partially because i was just as lazy with actually completing my bucket list items! Which meant i had few experiences to write about and no photo’s to share. I also had some failures….i attempted to do a pinterest project every month for a year and fell over within 2 months! And i set myself a goodreads challenge of reading 24 books. And can you believe it…..i only made it to 22!!!! I must admit i am quite disappointed to be just two books away but that has just lit my fire to jump back into it for 2014. I suppose thought i shouldn’t be quite so critical i did cross a few things off my list last year. 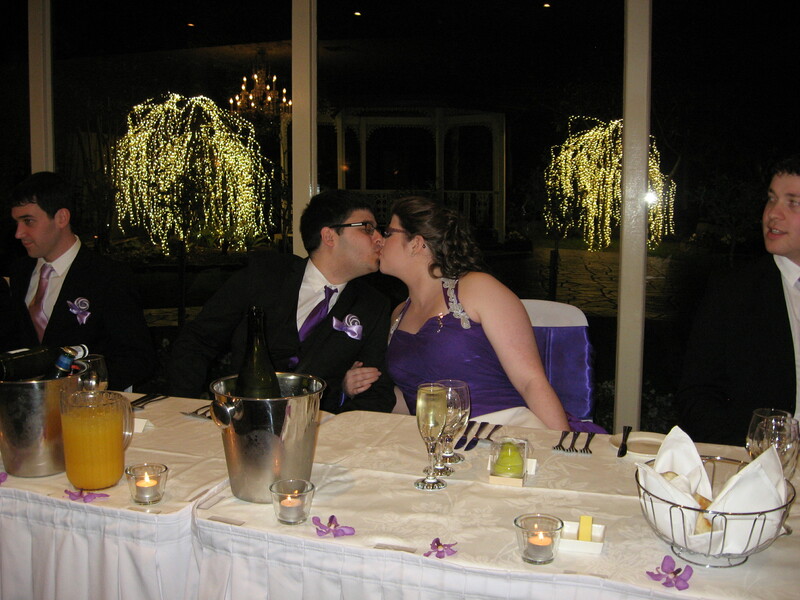 and of course…..Married the love of my life! Not too shabby but not too great. Of course i wouldn’t trade marrying my wonderful Husband for any of my other bucket list items but i just wanted to have done more in the year. So for 2014 i’m looking to complete some larger items and get started on some of the things on my list that might take a little longer or take more effort. More information to come on my 2014 plans but for now; hope you’ve all enjoyed your New Years celebrations and i’m going to be a good this coming year and i’m throwing away the title of ‘bad blogger’! This is a huge item off my bucket list…..which to be honest was more of a life goal than an actual bucket list item. I got Married!!! To the absolute love of my life Nathan. On the 8th September we walked up the aisle at Bram Leigh Receptions in Melbourne, Australia and I can now say he is officially my husband and I his wife. It was a wonderfully fantastic day; despite the weather in the week leading up to the big day it actually ended up being clear and sunny skies. We had a friend of the family as our celebrant which made the ceremony more personal to us. We were also blessed with amazing family and friends who travelled to us to share in our happiness. We had a fantastic photographer, great venue staff and a gorgeous wedding cake that was unique to us. It was actually made by myself, now husband and my mother. Without them it all wouldn’t have come together so perfectly. I was also able to mark “Wearing a beautiful wedding dress” off my list. This was actually pretty amazing as my beautiful custom made dress was made by my now Mother-in-law Terri. It was such an honour to wear something that had been handmade just for me by someone who we love dearly. We are still waiting on our professional photographs but I wanted to post something here at least prior to that; I will certainly post again when our spectacular photo’s come through. So without further ado here we are; the Mr & Mrs!!! So very sorry with the delay on this post. I completed this item off my list a little while ago but life has been hectic of late. So without further ado……. Are you hungry? 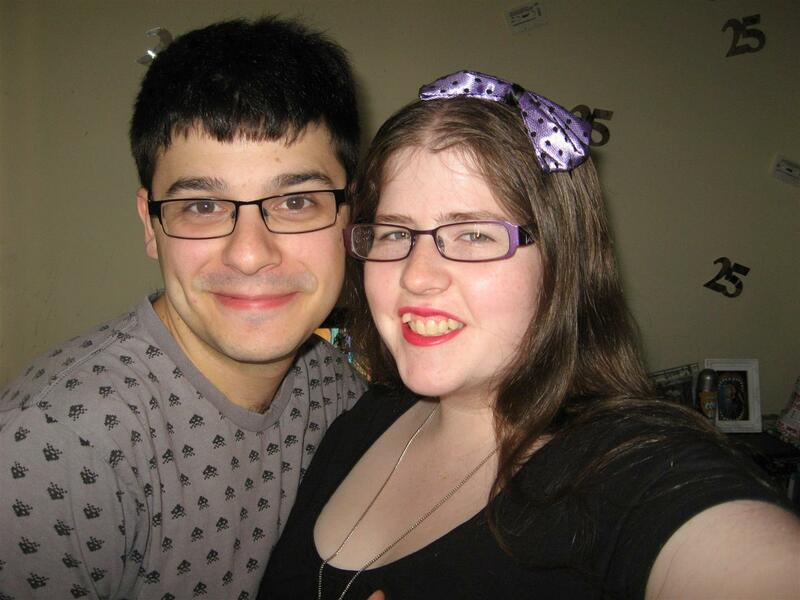 I hope you are because my fantastic fiancé Nathan and I cooked up a delicious Italian inspired 6 course meal! And of course then ate it because let’s face it; there’s something wrong if you don’t eat the food you’ve just cooked. Now I love food and cooking (as people may have noticed by many of the items on my bucket list) but even I wasn’t prepared for just how much time we spent in the kitchen to prepare and serve six courses. We started mid afternoon with our prep work and didn’t leave the kitchen until around 10pm. But it was worth it because it worked out beautifully. So let’s start at the beginning with……. 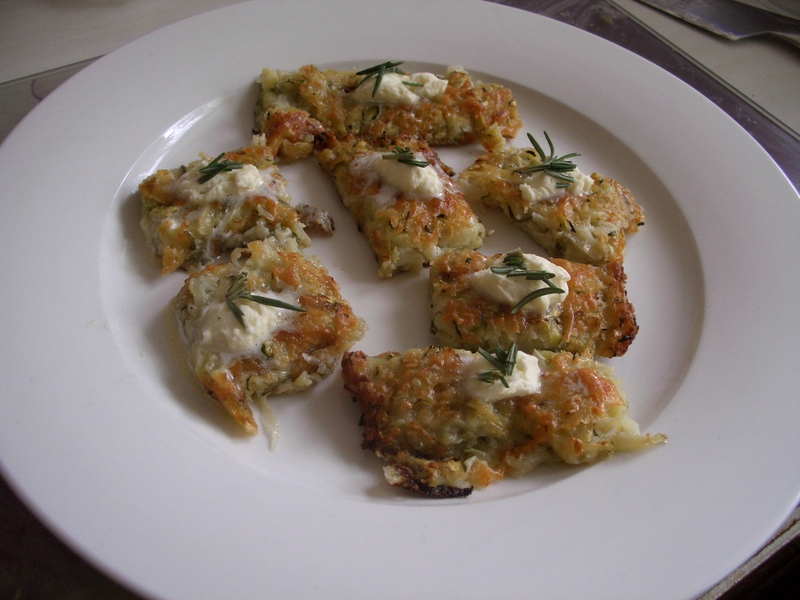 Course #1: Crispy Courgette and Potato Pancakes. All I can say here is yum! Crispy, flavoursome and with a savoury mascarpone cream on top? Yes please! Of course I may be biased as this was a dish I was in charge of but nah, they were really good! These were fairly quick and easy to make too which gave us more time to focus on the later dishes. And thank god, we really did need that extra time. Simple? You would think so but this was actually the dish Nathan spent the longest on as he made a traditional dough from scratch. 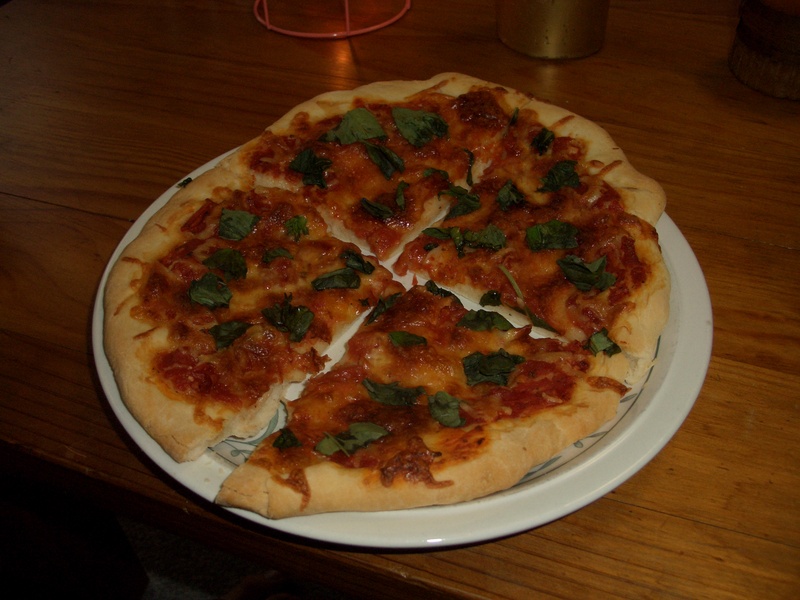 Many hours were spent just watching the dough rise…..then punching it…..then watching it rise again. This definitely paid off as it was the best dough he’d ever made…by a long mile! YUM! That’s what i have to say about it; YUM! This had to be by far my favourite dish of the night. 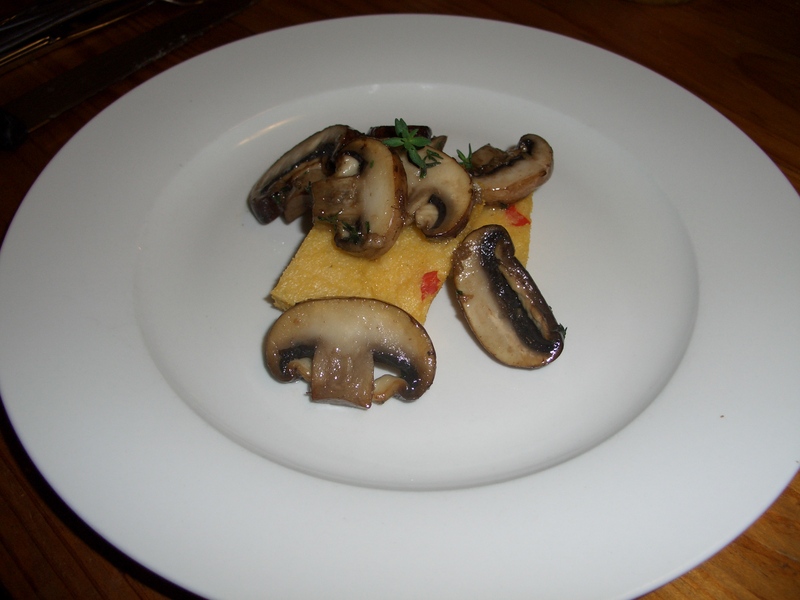 The mushrooms were soft and tender and the chilli polenta supplied a good kick! 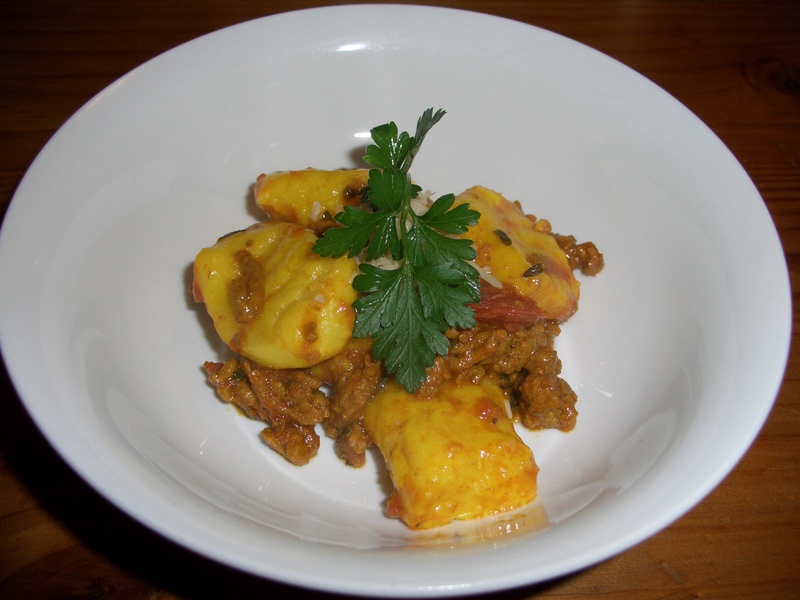 This dish will certainly be gracing our plates again in the future! This was a really last minute addition to the meal. Course 4 was meant to be a seafood dish. But when Nathan went to start cooking we discovered the seafood had gone off. A bit concerning since we’d just purchased it the evening before. 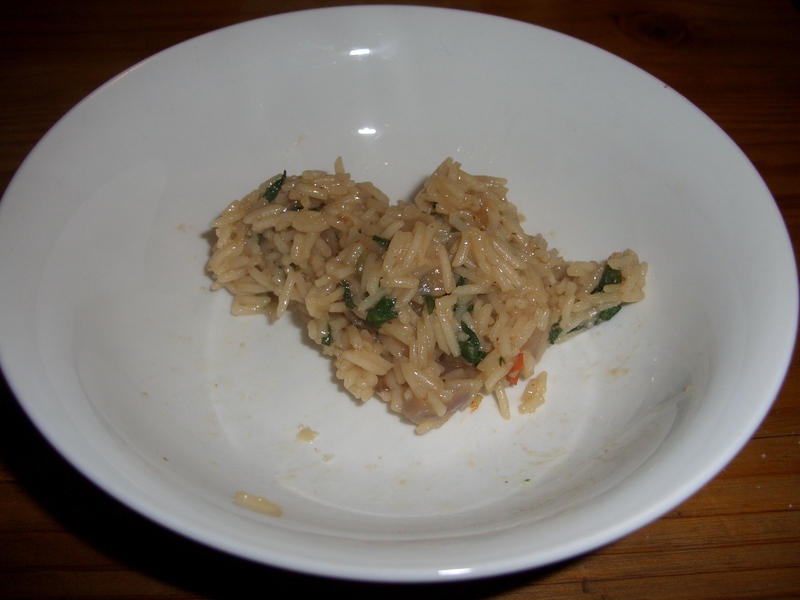 So thinking on his feet my gourmet fiancé whipped up a tasty white wine risotto. How it looks really doesn’t do it justice! Gnocchi is fiddly to make but worth it if you can get it 100% right. That’s not to say I had it 100% right of course although it turned out better than my previous attempts. It was light, fluffy and went perfectly with the sauce I prepared. Yum! This was probably what worked the least. It was extremely rich and by that point we were sick of cooking so we didn’t give it long enough to actually rise. This meant it was gooey inside to the point of being liquid still. Clearly our fault though! And there you have it! Another item ticked off my bucket list! Should have learnt a long time ago…. Hahaha, this is definitely a bucket list item that should have been quick and easy but i’ve just been lazy. So when i was out enjoying a delicious Japanese banquet with my fiance on Friday i thought; why not now? So after dropping many bits of food, splashing myself with the broth from one of my courses and looking i imagine quite silly, i finally managed to eat with chopsticks! This may sound like a small achievement but i’m clumsy. Very, very, very clumsy and uncoordinated. So i’m thrilled! More posts to come soon….i’m not confirming but i do believe there was a 6 course meal that took place recently….. Remember those days as a child where you’d pick up your pencils, open your colouring book and just colour to your heart’s content? It didn’t matter if you coloured outside the lines or selected a weird colour scheme; green people, a pink sky, it just didn’t matter. 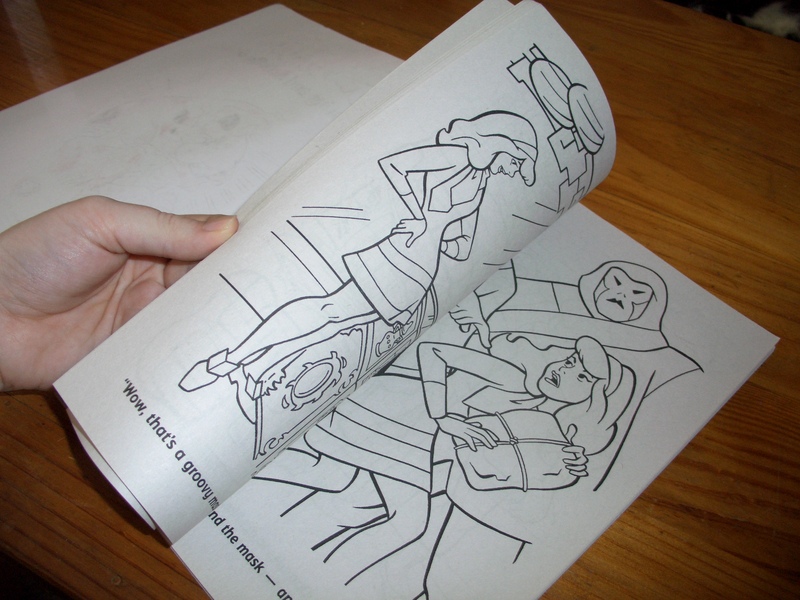 But did you ever finish a whole colouring book? From the front page to the back including any extra ‘fun’ activities they may have thrown in? I certainly know I didn’t! 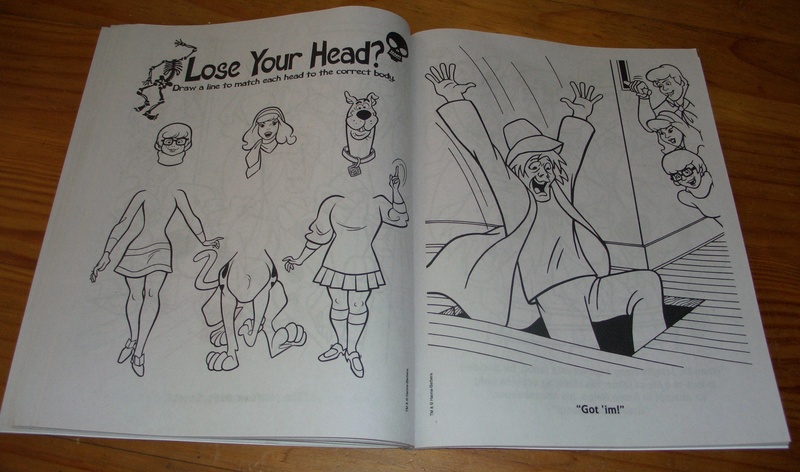 I’d get restless after a page or two at most and then pick up another one of the many colouring books I seemed to own. I’m sure there is a large pile of partially complete ones somewhere in my mother’s cupboards still waiting to be finished. So I thought, it’s time. I’m an adult, I can sit still for a lot longer now than when I was a kid; I’m going to complete a whole colouring book. Unfortunately I don’t live close enough to my Mum’s home to pick up one of the books that was unfinished from my childhood so I had to buy one and start from scratch. Oh yes, completely from scratch. 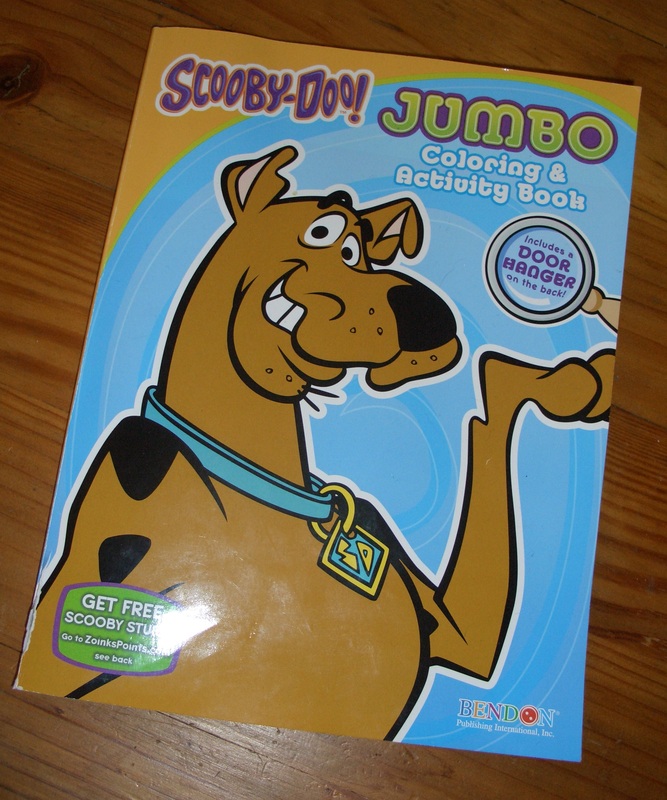 And what better to colour in from beginning to end but pages and pages of Scooby Doo and all of his gang. 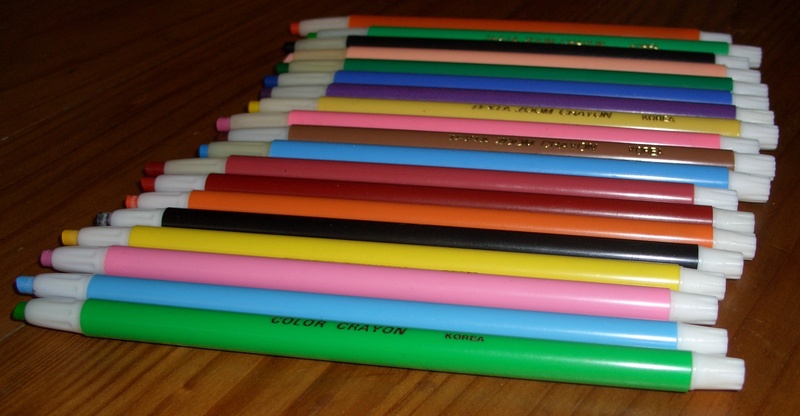 My crayons are lined up and ready to go so without delay…..I’m off to colour! As seen in my latest post I’ve failed my monthly pinterest challenge. That hasn’t stopped me however from still trying out a recipe I saw on pinterest a while ago. Something that seemed a bit strange to me. A Coca Cola cake. Now don’t get me wrong I like Coca Cola but I’ve never considered the idea of actually cooking with it; and even if I had I wouldn’t have thought ‘oh I’d better bake a cake’! 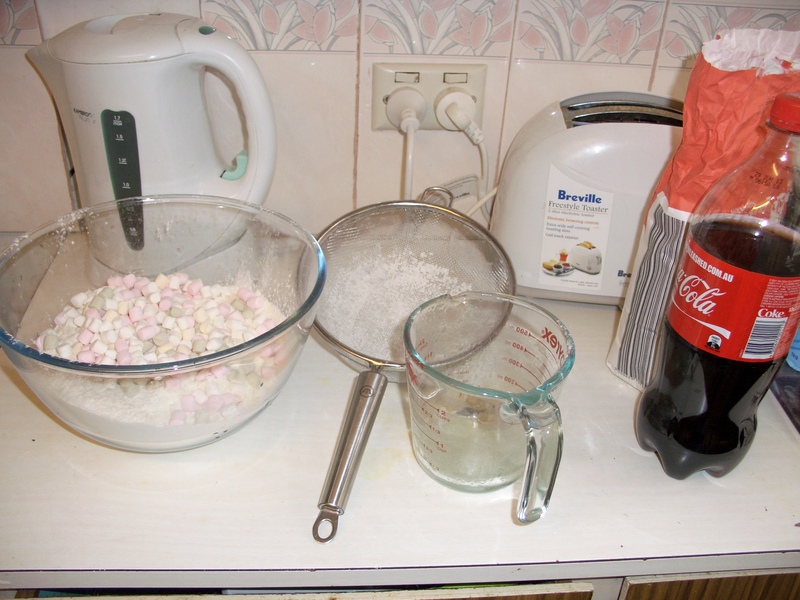 I presented the idea of baking the cake to my partner who was even more sceptical than I was about using Coca Cola as an ingredient. But he’s always up to try something strange so we agreed we’d give it a go. So we organised all our of ingredients and set to preheating the oven and greasing the pan. Then to my surprise I found myself heating the Coca Cola up in a saucepan with butter and oil. Surprisingly this went off without a hitch! 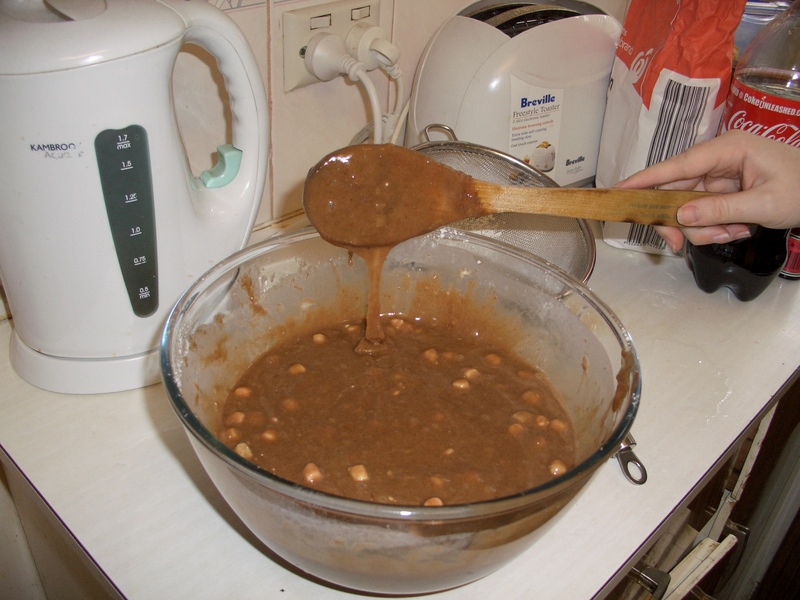 It was mixed in with the dry ingredients which included mini marshmallows and then into the oven it went. Cooked it for the required amount of time, stuck my skewer in the centre and needed to keep cooking it. Tested it again only to find it still wasn’t cooked and had to go back in for another bake. After twice the allotted cooking time I decided that it had to come out of the oven no matter what so that we could put our dinner in. After pulling it out it actually looked ok; light and puffy looking. 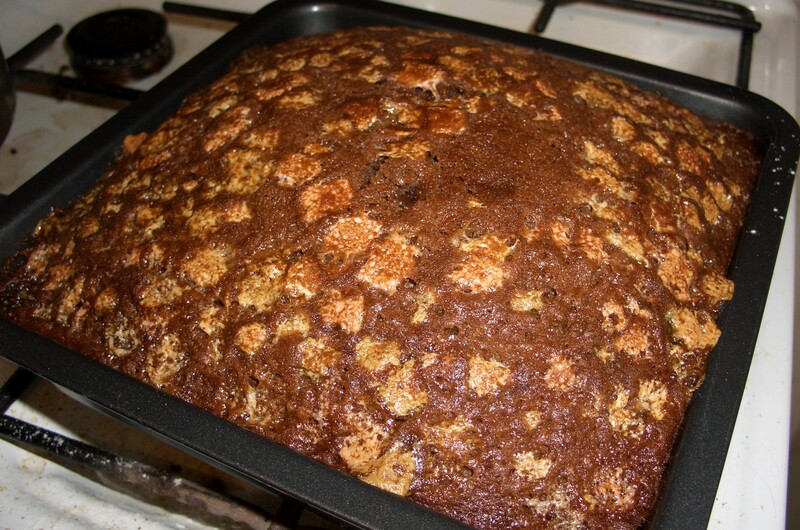 After cooling the cake for a little while in the pan we removed the cake. And that was when everything went downhill fast! 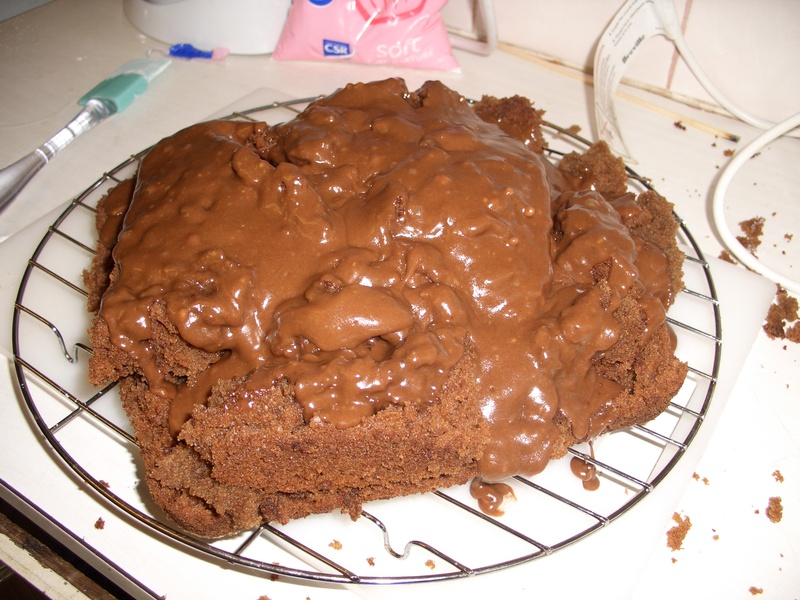 The cake fell apart as it was so light and airy. It crumbled and was mushy as soon as I tipped it up. So you know what I did? I iced it anyway because what is a broken Coca Cola cake without its icing? And that was the second mistake. The icing was so sweet that we ended up eating only a tiny portion of the cake. The cake itself however was surprisingly nice with a light chocolatey consistency. Was it fun to make? Yes. Did it taste like Coca Cola though? No. Not a bit. My advice? Give it a go because of the novelty value; I mean, it’s a Coca Cola cake!!! 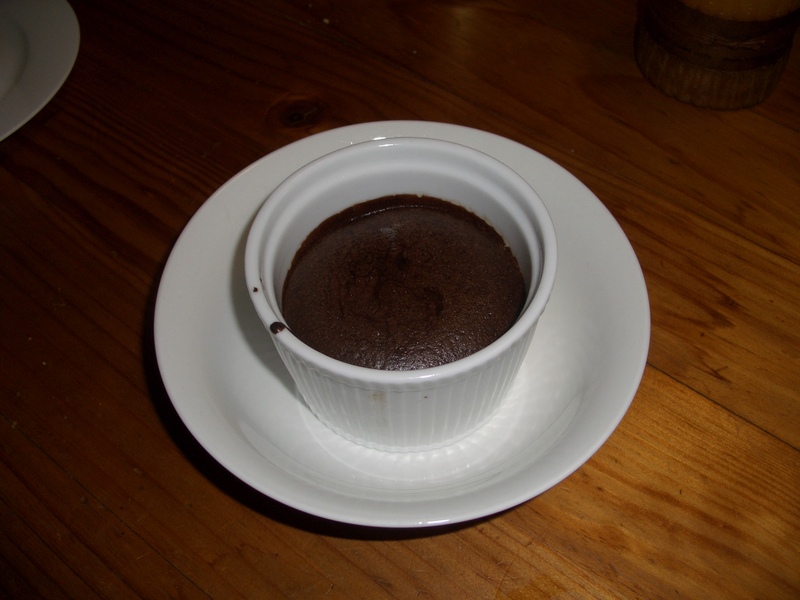 But if you’re looking for just a nice chocolate cake, make a nice chocolate cake instead. As you may already know i’ve been working on one of my bucket list items: Do a project from Pinterest every month for a year. And unfortunately as you may also see i haven’t posted about my March project. Why? Because i didn’t do one 😦 I had all the plans in the back of my mind, looked for the items i needed and then ran out of time. March turned into a busy month where my fiance started a new job, wedding plans were in motion and then the big holiday that seems to take up lots of time….Easter just jumped out of nowhere and took over the days. Then i woke up this morning and Nathan said to me “It’s the 1st today right?” And i couldn’t believe it! April already! I can’t even remember what happened in March, it flew by so quickly! But the long and short of it anyway, is that this bucket list item has to be shelved for a while. I missed a month so would have to start again from month one and at this moment in time i don’t think i’d be able to commit to it. So instead of starting again and then failing again i’ll put this aside for now and start again later in the year after our Wedding. My sincere apologies to anyone following along! I too was hoping for an interesting pinterest year. At least i’ll still be here completing (hopefully) other Bucket list items still. More posts to come soon! A Quarter of a Century celebration! A quarter of a century….yep when you say it like that it sounds huge! Or for those of us who would prefer to make it sound smaller….25! I turned 25 just over a week ago now and I can’t say I feel any wiser all of a sudden or any older for that matter. So I guess that’s a positive thing! So for this Birthday I decided to go back to the 80’s when I was born! Not that I really remember it much as by the time the year clicked over to 1990 I was only two years old and probably not paying attention to the trends going on around me. But that didn’t stop me last weekend from decorating my lounge room in bright 80’s colours, sticking up some cassette tapes and busting out the 80’s tunes. We donned some dorky 80’s gear and partied the night away! Then it was time to try something fun I’d seen on pinterest. Fairy floss in sparkling wine! 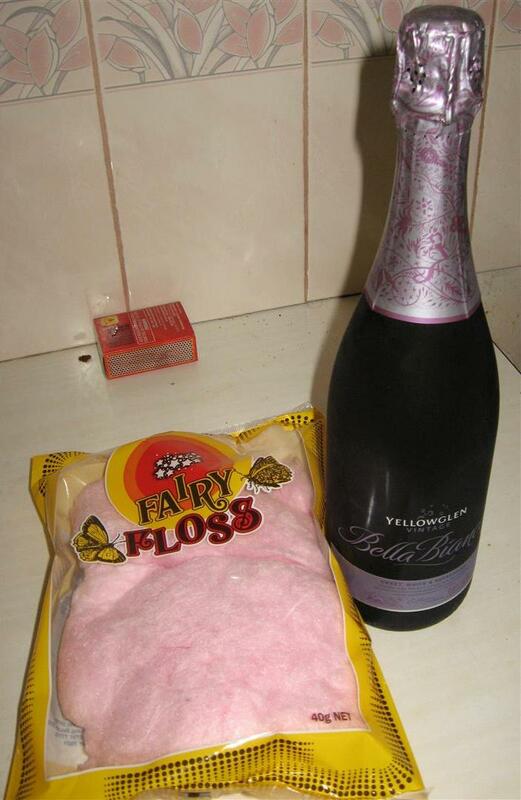 Oh yes….fairy floss and sparkling wine. And here is the result. A very, very pink looking beverage which actually didn’t taste too bad at all! The floss fizzed and sort of dissolved into the sparkling wine and created a sort of sweet but balanced flavoured drink. Then the day after the party my partner Nathan took me to a nice Italian restaurant for lunch. Upon arriving however we noted that it was closed, that’s right the restaurant where were planning on eating lunch was closed. Despite having a booking with them that had been confirmed the restaurant hadn’t opened at all. There were no signs on the door apologising and no-one in sight so there went my special Birthday lunch! Aside from this hiccup though I had a very happy and fun 25th Birthday! Now into the next year I go! In the second month of Pinterest……I didn’t really find success…. 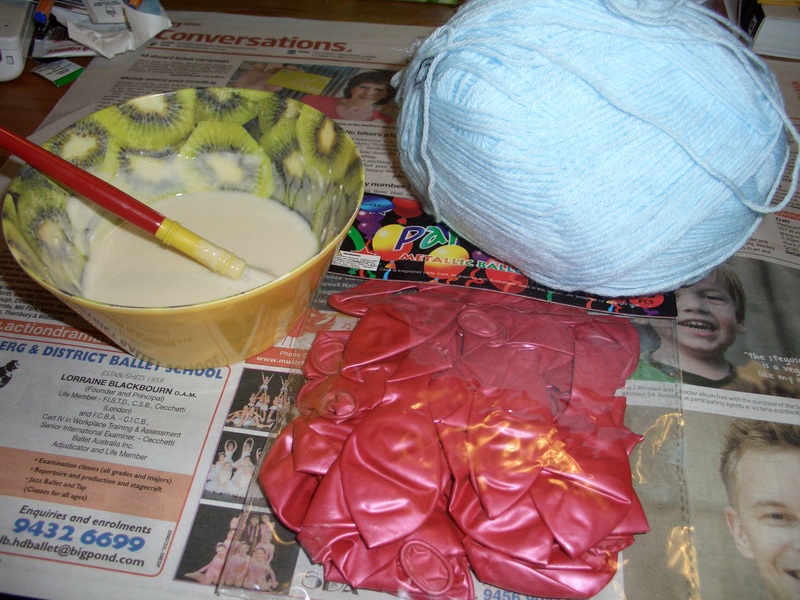 So I got out my wool, blew up a balloon and mixed up my own craft glue. And let’s just say the home made glue was the wrong choice. 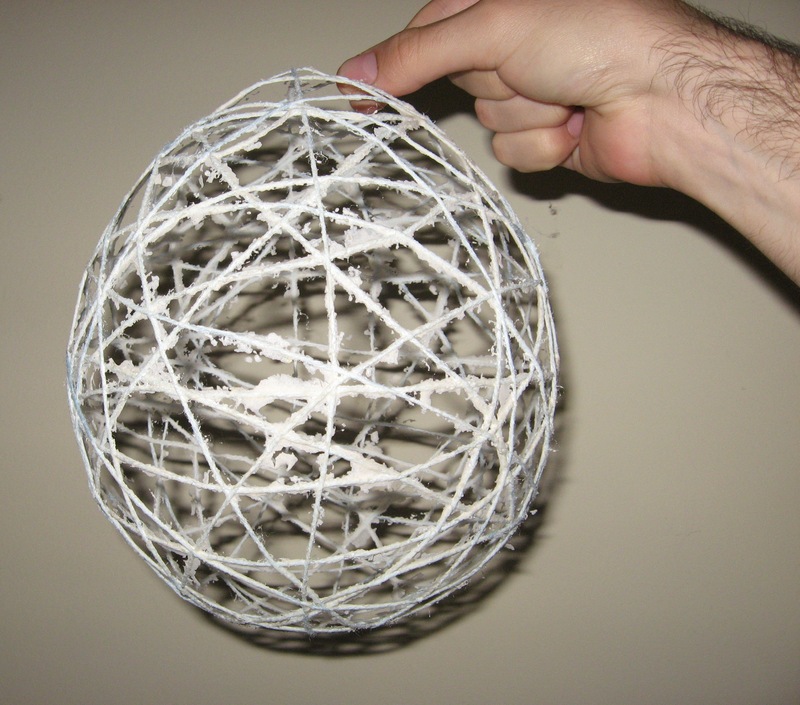 The idea was to dip the wool into the glue and then easily wrap it around the balloon to create the image you can see on the Pinterest link above; a pretty and decorative piece. Unfortunately because I made my own glue and it wasn’t quite right for the project it made the wool gooey and hard to work with. The wool also ended up feeling quite gluggy and heavy. The wool seemed to stick to everything except the balloon after I had dipped it; my hands, my coffee table, my shirt, Yuk! After much struggling I managed to wrap it all around the balloon. Then I left it to dry hoping that the appearance would improve as it dried. This didn’t really happen; my glue dried in weird flaky bits off the sides of the wool and doesn’t really have an appealing appearance. On the plus side it was like being a kid again playing with art and crafts, mushing the glue everywhere and in general just having fun! Perhaps next time I can use more appropriate glue that would achieve a better result and leave that wool a little easier to work with. But for now back to the Pinterest board to find something to try in March! Wish me luck!